Thanks to game streaming services, we can see people do amazing things with gaming. We can watch professionals from around the world battle it out for a million dollar prize pool in Dota 2. We can learn how to build a Miracle Rogue deck in Hearthstone. Or we can just watch people mess around in Watch_Dogs. No matter how it is consumed, the streaming of video games has become a huge (and in my opinion, brilliant) development in the gaming industry. Lately, the industry has been undergoing a lot of changes, and people are debating what effect they will have on the services we know and love. For starters, Amazon is planning to buy Twitch.tv for $970 million, after Twitch was in talks with multiple companies over the past few months. Google was earlier rumored to be buying Twitch for $1 billion. Though people constantly debate the merits of any business acquisition and its effects, the general sentiment around Amazon’s buyout seems to be more positive than it was around the rumored Google acquisition for multiple reasons. If Twitch had been acquired by Google, it would have allowed Google to nearly monopolize video content on the internet. By acquiring the biggest game streaming service in addition to YouTube, the biggest video hub on the internet, Google would have formed a colossal beast in the streaming market that could have made it difficult for smaller streaming services to ever catch up. Amazon, on the other hand, could offer some interesting services and competition with other streaming sites, and possibly even compete with YouTube in some ways. This news was preceded with the fact that Justin.tv has shut down, which was sad, but expected. For those who don’t know, Justin.tv was a streaming site that was started as a guy just live-streaming everything he did. The site quickly grew into a general streaming site – including gaming – and became part of Twitch Interactive, the company that owns and operates Twitch.tv. The majority of gaming streamers had left Justin to join Twitch and other sites, so it isn’t a huge loss, but it is always tragic to see a piece of history get shut down. Though the shutdown of Justin.tv may be sad, it is certainly counteracted by some other great news. 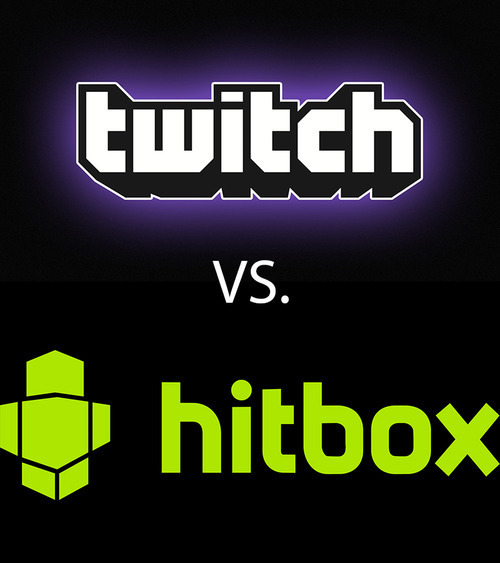 Smaller sites such as Hitbox.tv have sprung up within the past year or so and offer a fresh platform for streaming. Though they’re not ‘indie’ by any means, these sites offer people a chance to branch out and try different services without being stuck with Twitch as the only place to watch or host streams. Many popular video personalities, such as Jim Sterling, have been trying out Hitbox. Streaming is in a fascinating time, with such large business transactions and new upstarts starting to rise to prominence. If you have ever been interested in getting into it, there is no better time than the present. Twitch.tv: When it comes to livestreaming gameplay, nothing beats Twitch. It is currently one of the world’s leading video platforms with more than 45 million visitors each month. It is commonly used by a variety of video game commentators such as Totalbiscuit and Captainsparklez, as well as developers such as League of Legends developer Riot Games. Along with this, Twitch has some great features that connect with other social media in order to make a smooth streaming experience. You can set it up so that it will tweet every time you begin a livestream, connect a Youtube account so that you can easily upload archives and highlights, share your meta data on Steam when you go live, or connect to Facebook so you can get a one-click login. It is worth noting that there are currently issues with streams being muted in 30 minute increments when watched in the archive section due to the system detecting copy-written audio, sometimes when it shouldn’t happen. This may be cleared up soon, but it is worth noting for the moment. Hitbox.tv: Hitbox is one of the more recent live streaming services around, having arisen less than a year ago. It has gained popularity in recent weeks due to people protesting Twitch and its Google buyout. The site is largely similar to Twitch.tv, though its interface is far less cluttered than that of other streaming sites. Along with this, Hitbox has a relatively interesting partner program for streamers that aims to offer more options and transparency compared to other gaming sites. Though Hitbox is not as popular as Twitch, it’s growing quite quickly, making it a viable option for anyone interested in streaming.